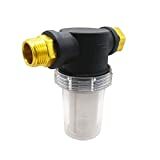 This cool new Garden Hose Filter connects to any standard garden hose to effectively remove chlorine, chloramines, volatile organic compounds, pesticides, and herbicides. Why use a garden hose water filter? 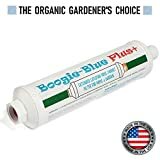 It's perfect for healthier watering of plants, gardens, pets, and livestock, filling up kiddie pools, giant pools, hot tub, and balloons with cleaner water, washing your car with a spot free rinse, or just drinking from the hose - yep, safe drinking garden hoses are now actually a thing too. Each filter is third party tested, able to filter up to 10,000 gallons, and made in the USA. Great solution for a problem you probably never even thought about.